Just wanted to let you guys know what I did for some extra tool storage. 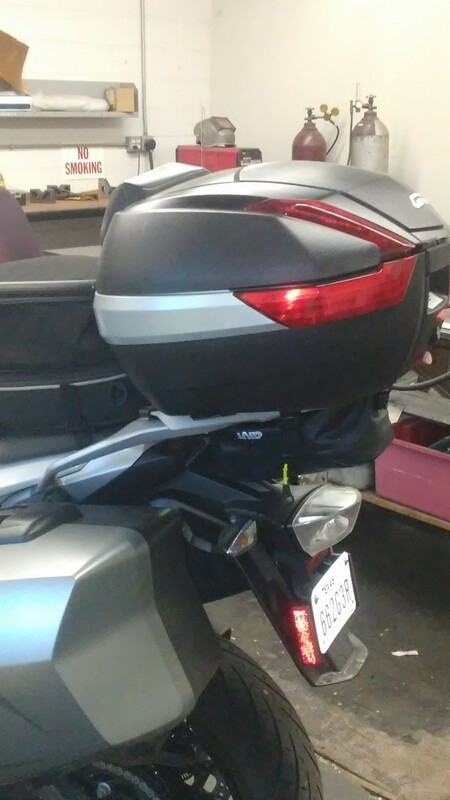 Bought a Givi GRT707 Gravel-T Universal 5L Toolbag for 40 bucks and installed it upside down under the Givi rack for my top case. 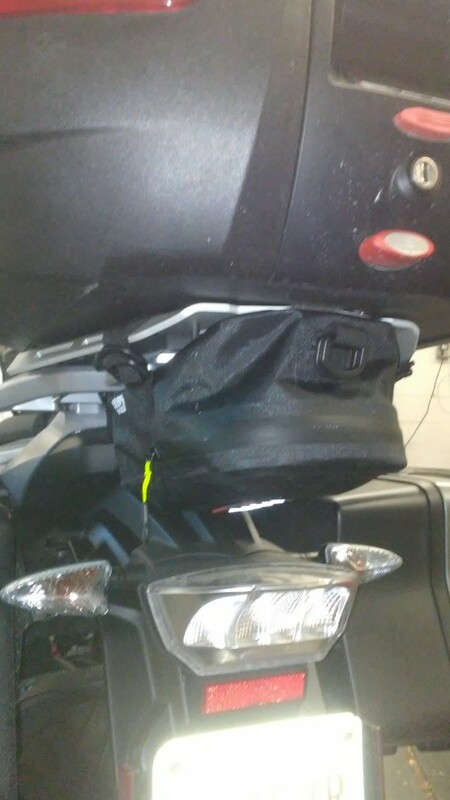 Holds my tire repair kit, compressor and bunch of other stuff that wouldn't fit under the seat. 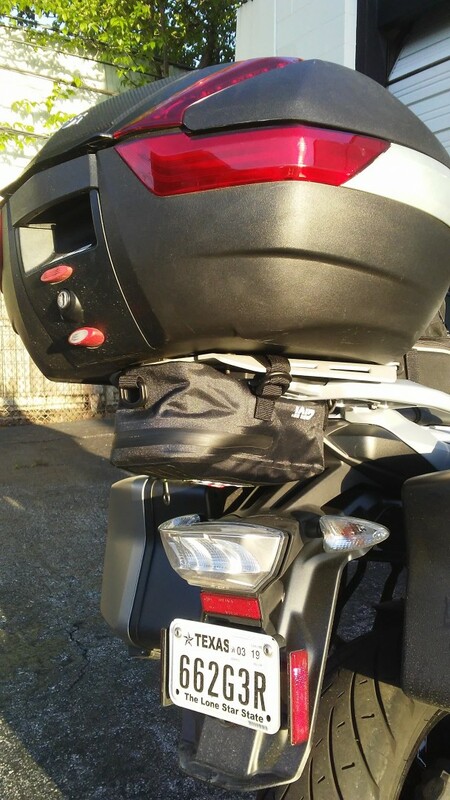 I prefer this storage rather than under the seat, primarily because I carry too much "stuff". Hope this helps. Ha ! Well, I don't own a car and just want to be prepared! What a bloody good idea.. I might use your idea Sir...thank you..!